Saudi Arabia’s non-oil private sector saw a strong increase in demand for goods and services at the start of the year, with the rate of growth in new business the quickest observed since December 2017, said global analytics firm IHS Markit. Nearly three times as many firms recording an increase in new work (45 per cent) as those that registered a decline (16 per cent). Increased marketing and competitive pricing were two factors that helped to support demand, according to panellists. The headline seasonally adjusted Emirates NBD Saudi Arabia Purchasing Managers’ Index (PMI) – a composite gauge designed to give a single-figure snapshot of operating conditions in the non-oil private sector economy – climbed to 56.2 in January, from 54.5 in December, its highest reading for 13 months. The rise in the index reflected not only stronger growth in output, new orders and employment, but also a recovery in the rate of expansion in stocks of purchases. The only negative influence on the index came from the supplier delivery times component, which showed lead-times improving at a quicker rate (generally a sign of less pressure on supply chains). The main positive takeaway in January was an acceleration in the rate of new order growth to the quickest since December 2017. The upturn owed almost exclusively to stronger domestic sales, with inflows of new business from abroad remaining broadly unchanged from the previous month. Stronger overall order books in turn drove a solid and accelerated increase in the level of output across Saudi Arabia’s non-oil private sector in January, with the rate of growth slightly above the average in the final quarter of 2018. The month also saw the rate of job creation pick up from a 20-month low in December, albeit remaining only modest overall. Businesses continued to use discounts as way to support sales at the start of the year. January saw average selling prices fall for the sixth time in the past seven months and at the quickest rate since last February. Output price reductions were made easier by a fall in firms’ operating expenses, which decreased to the greatest extent since data collection began in 2009 (albeit only modestly overall) due to a notable drop in purchasing costs. Average staff pay across the non-oil private was meanwhile up slightly on the month. Elsewhere, growth in purchasing activity recovered slightly from December’s record low, though was still relatively subdued by historical standards. Buying levels were raised not only to support higher output requirements, but also to help boost safety stocks amid positive forecasts for future business activity. Business confidence towards growth prospects over the next 12 months improved for the second month in a row to reach the highest since December 2013. The seasonally adjusted Output Index ticked up in January, to signal a marked and slightly accelerated increase in the level of business activity across Saudi Arabia’s non-oil private sector. Around 18 per cent of surveyed companies reported a rise in output, which they often linked to improved underlying demand and an associated increase in new orders. The level of new business received from abroad in January was virtually unchanged from the month before. This was highlighted by the respective seasonally adjusted index registering a reading that was broadly in line with the 50.0 no-change mark. This followed modest growth of new export orders throughout the final quarter of 2018. Latest data indicated a moderate rise in the level of outstanding business across Saudi Arabia’s non-oil private sector in January. It marked the eighth month running in which an increase has been recorded. Where backlogs of work accumulated were during the month (at almost 14 per cent of companies), this was often linked to a demand-driven rise in workloads. As has been the case in every month since August 2011, January data indicated a decrease in average lead-times on purchased items (both raw materials and goods for resale). Although the improvement in supplier performance was slightly greater than that seen in December, the respective seasonally adjusted index remained well below its long-run average of 54.9 (since 2009). There was positive news on the labour market front in January. Encouraged by rising inflows of new work, firms across the private sector took on additional staff to extend the current sequence of job creation to 58 months. The rate of employment growth picked up from December’s 20-month low, though was still only modest overall. Competitive pricing strategies among Saudi Arabia’s non-oil private sector firms remained a key feature of the latest survey data. A decrease in average output prices was recorded for the sixth time in the past seven months, with the rate of decline accelerating to the quickest seen since February last year. Businesses were given greater scope to reduce charges in January thanks to a drop in their operating expenses during the month. Though the extent to which overall input prices decreased was only modest, it represented the most marked decline since data collection began almost ten years ago. The reduction in total cost burdens was underpinned a fall in average prices paid for purchases. The seasonally adjusted Purchase Prices Index dipped below the 50.0 ‘no-change’ threshold for only the third time in the survey history in January. The latest reading indicated a moderate rate of decline that was the quickest on record. Reports from panellists suggest that some suppliers had offered discounts in order to grow their sales. The main source of cost pressure during January came from rising staff pay, which increased on average for third month in a row. That said, the rate of salary/wage growth remained below the average over the series history, with the vast majority (98 per cent) of surveyed businesses reporting no change from the month before. Stronger new order growth at the start of the year led businesses to scale up their purchasing activity, to not only support higher workloads but also expand safety stocks. However, despite the rate of growth in buying levels picking up since December, when it had reached a series-record low, it was still subdued by historic standards. Helped by the recovery in buying levels during the month, stocks of purchases across Saudi Arabia’s non-oil private sector rose in January at the quickest rate since last September. 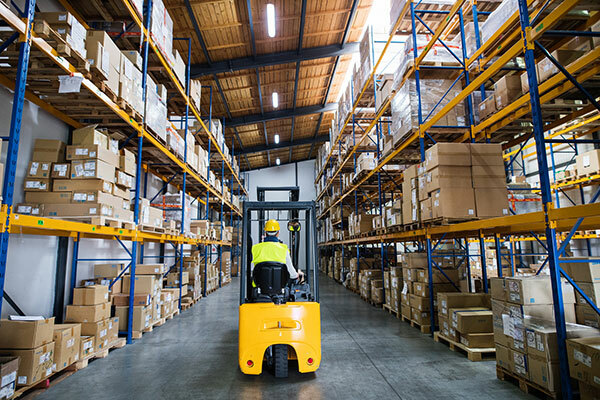 It marked the first acceleration in inventory growth for six months and meant that the respective seasonally adjusted index was fractionally above its average in 2018.